This is a treasure chest of activities! I love it. I plan to make a weekly schedule of these activities that we can then loosely follow. It will help me have a great idea when my little one needs entertainment and I’m brain-dead. 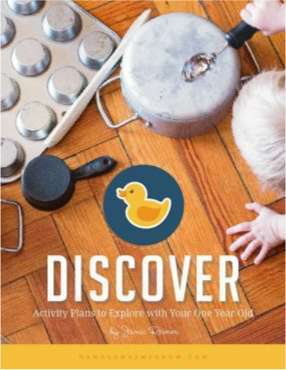 I’m always looking for inspiration for great activities my toddler will love – thanks for all the tips! 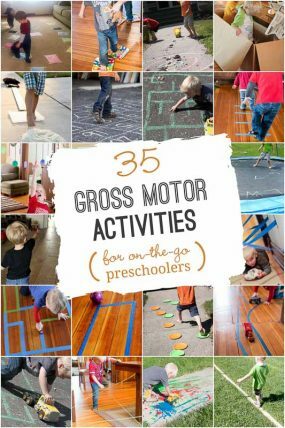 Young children need the opportunity to use their whole body and develop their gross motor skills. It’s only when they have mastered these that they will be able to control their fine motor skills, such as using a knife and fork or holding a pencil, for instance. As a result, children playing outside can have a positive impact. 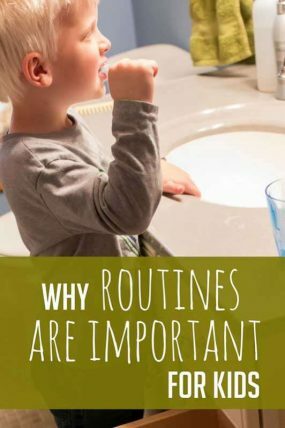 Growing toddlers need to be kept active all the time. This can mean a lot of time and effort. Most often, the first-time parents are confused how to go about this ordeal. That is where posts like this one come as a great blessing, help and guidance. Thanks for sharing this information. You have to give your child a lot of attention and channel whatever they are learning in the right way to boost their emotional, social, mental and cognitive development. We are not allowed to use empty toilet rolls. It’s an health & Safety plus hygiene. I can’t wait to do some of the projects with my 13 month old grandson that I keep once a week. Thanks for some great ideas. Great post. All toddler activities are very impressive and creative too. Surely I will implement to kids. Thanks for sharing. I always get impressed with all the activities i get to know and actually it fulfills me with a energy to explore a new world to them help them to move in their dream land. Best ideas for toddlers. I like that we don’t need to buy expensive/talking toys. 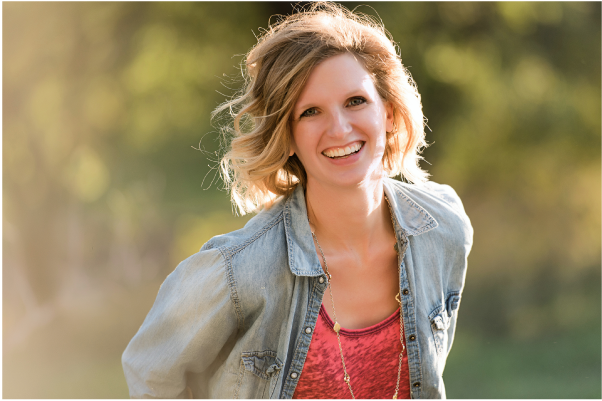 These activities will keep her busy and help in personal growth. Thanks for sharing!! 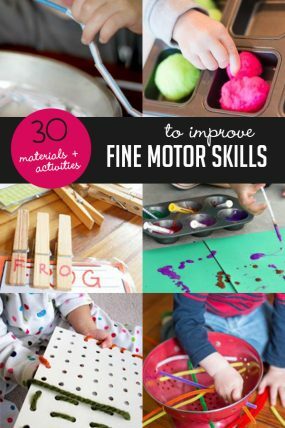 some more innovative physical, cognitive and fine motor development is needed. I also have available plastic measuring spoons and cups (each a different color), tiny pitchers, large rugatoni,various sized balls and beads. They will ‘pour’ beads, walk with ball atop measuring cup/spoon to balance the ball (or not LOL), put a rigatoni on each finger, string beads/pipe cleaners through the rigatoni, etc! Great ideas! My son is into a lot of cartoons since this week! and would like to make him do these activities.Thanks for sharing. My two year old Granddaughter loves a cubby house made with with sheets or blankets in the room, keeps her busy for ages. As a Grandfather exploring my 2 yr old Granddaughters world I find she loves interacting with her many dolls, I provide a voice for each one and we play act out shopping expeditions and ‘mummies busy’ routines which keep her occupied for hours, I’m fortunate that I’m retired as this kind of activity is very time consuming on your behalf. 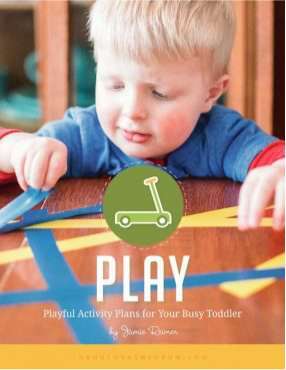 Great ideas for activities for toddlers! I like that you don’t have to buy any expensive toys too, it’s all just stuff you’d have around the house! These will be a great resource for me. We have our first grandchild on the way! All Of These Sound Amazing I Should Try All of Them When My Little Monster Grows up! Hi those are very good ideas but my baby sister is 2 1/2 and she acts like a 7 year old! I would like a little bit more of better ideas but good job I still enjoyed it.? I have enjoyed reading your ideas for toddlers. I am concerned by some that are amongst the choking list for this age group, such as balloons, the loose corn. The golf tees very sharp, and soap in case of rubbing eyes. What are your thoughts? I think you need to use your own judgement of your supervision and your kid. Every kid is different. What would you do with toddlers ages 2,3, &4 these projects are for little babies who have about nothing to do. I have a 3 year old brother that would not apply to any of these activities either. One thing that helps him is watching nick jr’s shows. Also teaching colors is fun. tell them a color and do an i spy like game. 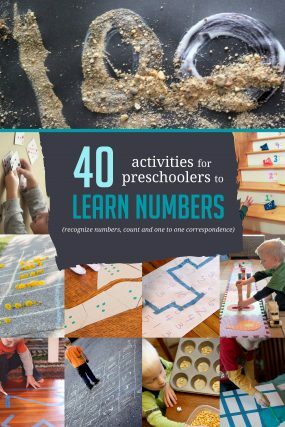 For numbers, grabs his/hers favorite toys, cars barbies, etc…(at least ten) and show him/her how many are each along with a card or piece of paper with the number. My brother also loves playing and learning, ex. playing with dogs while learning about dogs. making fun videos for the alphabet is also fun. Maybe run the sharp tip across an emery board, or a sanding block? I’m sure it would still go through the styrofoam. great ideas! this activities are really awesome! i have a 3 year old son and i want to have this kind of activities at his early age. for him to improve his mental and physical ability.. They say that many parents now a days are considering their child to go to a fun activities like this with their kids in an early age where they can learn and help the child development as they grow. This ideas are really great! You might want to include this idea on your list. When my baby finally came out until now that he is 3 years old already i have already reading him books , many different kinds of books. Like this one http://www.amazon.com/Butterfly-Coloring-Pages-Butterflies-Adults/dp/1500501255, My doctor says that,”Reading a book to your newborn is a one-on-one activity that you can really turn into a special time with your baby,” reading at them as early as possible helps your baby develop. 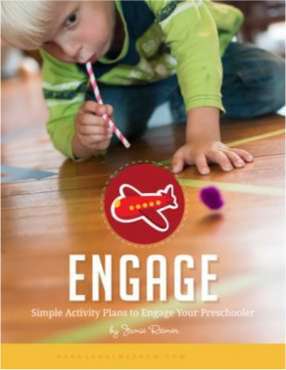 Not all activities, especially for toddlers, need to be about learning something. They “learn” a lot just by exploring and seeing how things work in their environment. I have a picky eater, alot of these ideas i was able to use to get her to eat more. Thanks! Thanks for the inspiration! My 15-month-old has really enjoyed exploring cotton balls this week. They clump together, pull apart into long strands, squish, and stick to her clothes. She put a bunch in an empty laundry hamper yesterday and sat in them like a bath. Amazing what fun you can have with everyday items. My 20 mo’s favorite non-toy toy is the salad spinner. She loves to fill it with different objects (mardi gras beads, ping pong balls, magnetic letters, etc . . .) and see how they spin. This activity holds her attention longer than most “toys”. Interested on projects for toddlers. What a amazing website for educators to educate young children. I love the balloon badminton idea for young kids. 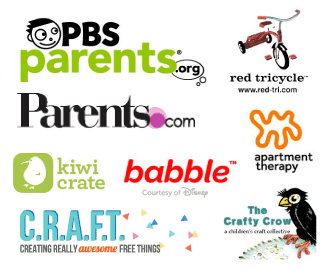 I have a similar free website with kids activity ides being http://www.excitedkids.com and will add a link given I hadn’t thought of a lot of these ones. Well done. Egg cartons are unsanitary and dangerous and should not be used for play of any kind. Wow fun killer much, sounds like a response from a germaphobe. Pretty sure the cartons wouldn’t be clean before handing them to your child. Lots of kids play with egg cartons they are a staple in many kindergarten classes for art activities. My kids live on raw eggs and are always playing with egg cartons…we have been doing so for years with no problems. Thanks for all the wonderful ideas. I am using some of the your ideas for my toddler at my nursery. So great to hear Evelyn! Got anything specific you’re looking for? Only mylar balloons are appropriate for young children–never latex balloons. This website doe not make this clear. Latex balloons can pop very quickly in a child’s face, startle a child, and the deflated balloon goes into the mouth. This is not a scare tactic; this is real life. This is true! As a little girl I watched my friends sister choke and die because she put a large piece in her mouth. Balloon play is safe with latex as well. Supervised! Supervised! Get on the floor with your toddler stop them from pinching the balloon if you are fearful of them being startled and clean away any broken balloon pieces at once. It’s common sense. A crayon can choke a toddler too are they forbidden? These are many interactive activities if you need unsupervised busy time use those that are appropriate. Can’t wait to do some of these with my little one!!! My toddler son love to play lego duplo bricks, it’s also a very interesting activity, but it is very hard to find some easy building examples, lately I found this site very useful http://www.toddlerbrick.com. It has many easy to build examples specificly for toddlers. These ideas are great. My 2yr old loves popping the balloon back and forth. Thanks for the lovely ideas to keep kids busy in fun activities, I can use some of them in my school. Really really nice post, thank you for the collection. Right now the toddlers t my preschool are loving uncooked oatmeal and cinnamon, with cups & scoops. We use http://www.creativekrate.com and get boxes of activities sent to our house every month. 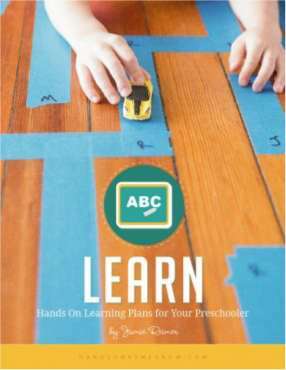 It is very affordable and gives you insight to your child’s behavior as well. Some great ideas. BUT. shaving cream is pure soap or so the parmedics told my neighbor when they had to take her 2 year old in the ambulance because he got some in his eyes and was sensitive to it. his face swelled up . At a first aid class a parmedic told us that two of the hardest things to get out of a childs throat when they are choking is a GOLF TEE and PEN cap. great ideas but probably not for 1-3 year olds. My grandson loves playing with a beachball. He’s 11 months old now but we’ve been playing with it for awhile. Big smiles and giggles! My two year old daughter absolutely loved to play in the dirt! I set out shovels and spoons and sticks and she practices digging differently with each tool. She draws in the sand with her fingers, uncovers hidden objects like rocks, discovered mud (ack!) and has even taste tested it. I say, they’re only little once! Some activities should be always ith adult supervision. The balloon idea, for example. A popped balloon piece in the toddler’s mouth poses a real danger for choking. Have fun with your toddler, but with anything that could fit through a toilet paper tube, don’t take your eyes off the child. Put a balloon in a stocking and if it pops the pieces will stay inside. :) *My son LOVES balloons so this is at least a once a month activity. Some activities should be always ith adult supervision. The balloon idea, for example. A pooped balloon piece in the toddler’s mouth poses a real danger for choking. Have fun with your toddler, but with anything that could fit through a toilet paper tube, don’t take your eyes off the child. Just a suggestion for those allergic to flour: we love to explore rice, too! Love all of these! 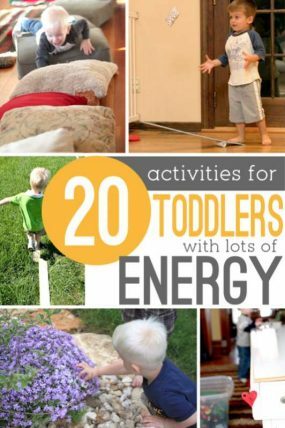 I have 18 month old twins and they will love to do all of these (and so will their big sister!). What a great list of activities. The golf tee’s and styrofoam is just brilliant. My son will be busy for hours with that one. Love your website. Good list! one activity our kids liked was real paint brushes and water in a bucket or bowl and painting outside….anything…the house, the cement, the deck, the deck chairs…. Great ideas! Ive been through, what seems like, thousands of web sites to get ideas for my busy smart little 19 month old daughter. She is bored with practically everything that we own, have done or she has seen, so I am on the look out for some creative ideas to keep her little mind expanding. Thank you for this! It was/is very helpful! Perfect! I am trying some of these tomorrow. We are getting so bored around here. I am a new SAHM and trying to keep my 2 year old entertained is so hard! I find myself returning again and again to this post to peruse the ideas. Especially on days where I am low energy and need something easy to do with Little A. Thanks for such a comprehensive post. Thanks for all the great ideas! I babysit an 18 month old and 2 1/2 year old at my house and have been in need of some toddler activities. I can’t wait to try these out! Great ideas, can’t wait to use some! Right now my daughter loves playing with plastic Easter eggs and an egg carton. I put a different coloured item in each egg (pom pom, pipe cleaner, scarp of material), and she’s just delighted every time she opens them up! This is how she learned her colours too! That’s brilliant! We did something similar with the baby food jars – just opening them up is a delight, but to find something in it is even better! Love that idea Melanie! 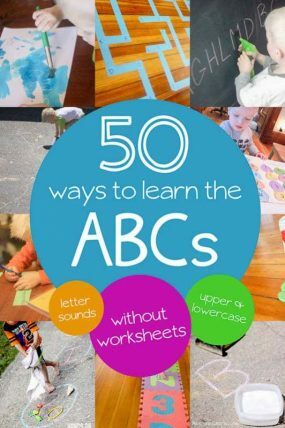 What a great comprehensive list for the kiddos! Love it. I was just looking at traffic sources, an realized you linked me onto this. I somehow missed that the other times I looked through the list. Just wanted to thank you for including Growing A Jeweled Rose in such a fantastic round up! haha! Yep! You’re welcome and thanks! These are really good ideas!!! You do have to be careful with some of these ideas and what age you do them with. If you do it with young toddlers you need to have a watchful eye because there are chocking hazards in some of these ideas. I have been a 2 year old teacher for many years now. Thank you for painting on an easel instead of a flat table! Doing things on a slanted surface (like the desks of 1900’s) or an upright surface (like an easel) helps pull the hand into a grip that you want your child to use holding a marker, crayon, pencil. In this position the wrist muscles help which makes it easier for your child. Wonder if you could attach the styrofoam for hammering onto such a surface? Hm…..You have wonderful ideas! Watch out for the flour activity…I am highly allergic to the dust off flour. Oh man! And flour is so fun! I love the extra ideas, my favorite is mashed potatoes! Left over, homemade, or instant they all are awesome for kids to play with of all ages. Ooooh! Mashed potatoes would be great sensory play! These are such great ideas. Love them. A great collection. Thanks for including my post in it. This sounds so tempting, I just don’t know if I can bring myself to let the kids use my table leaf! I may have to snag something at a garage sale just for this…. I know the kids would have a hay day with it! Lovely list Jamie! Thanks for including one from me! I’ve tried the bottle sensory thing once, we didn’t have luck with it. I may have to do that one again. Its such a great idea. Amazing collection! I always get short of ideas for my 1 and a half year old. Thanks for sharing! It is amazing how such simple things can entertain and fascinate your little ones. I remember doing pots and pans, balloons and bubbles when my kids were younger. Surprisingly, those same items work with my older kids, too. Of course, they play with them differently now but my 11, 8 and 4 year olds still love muffin tins (we use these in various games such as catch the penny), balloons (we have assorted contests with these) and bubbles – well they’re just fun no matter what age. fabulous list, jamie! i love toddler activities, and find that following a child’s lead helps me come up with things that work well. thanks very much for including us with all these toddler super-stars. I love the golf tee idea. I will be doing many of these with my 2 year old twins. They love to “paint” the house. I give them water and paint brushes and the water changes the color of the bricks. Great list thanks Jamie! My twins are only young toddlers so we do a lot of messy play outside where i don’t need to stress! We do many of these ideas too but have found lots of inspiration through your list! They are definitely a harder age to plan successfully for! Shaving foam is definitely a great one! I usually keep it contained by giving each child their own oven tray to smoosh it around in and draw pictures with their fingers. Adding tools helps maintain interest aswell – pop sticks, craft matchsticks, paint brushes/old tooth brushes, rubber stamps, anything really. A little note: if you do a long session of this, a bit of moisturiser after the clean up helps those with dry or sensitive skin. Another one is egg cartons. Go on a nature walk or treasure hunt and collect little things then either play with them in an egg carton, putting them in and out and opening/closing the lid, or glue one thing in each hole. PS. I love the hammering golf tees idea! Can’t wait to try it out! The woodwork table was always may favourite thing at kindy so this is a great way for younger children to get the same thrill. Great list, Jamie! My son’s favorites are anything to do with water or paint or trains. I have two little ones in this age range now and these ideas are fantastic. I love the sensory section, that is where I fall short so I will be implementing these. Thanks! That is an amazing list of activities!! Shaving cream was one thing that my daughter loved then and even now. But may not be apt for <2yrs. Thanks for including our 'Foam art on window'. Wow! 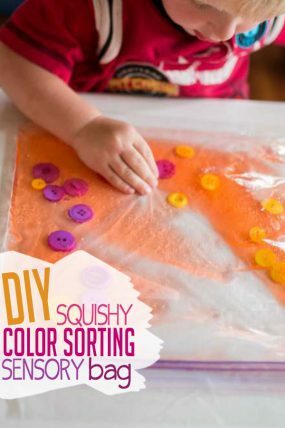 I can do many of these with my preschooler. Such a fantastic round-up of activities!!! Thanks for the new ideas to try! Wow, what an amazing list! You’ve been so busy, that’s for putting all your great ideas together in one spot. Awesome post! I am excited to now have even more ideas to do with my 16 month old daughter! Thanks for including our heart ball art in your post.